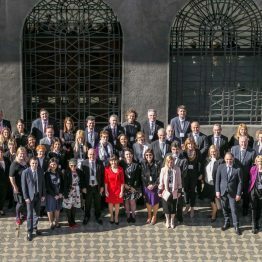 Areas for the strengthening of primary health care and enhance its quality were the focus of an event hosted in Ljubljana, Slovenia on 6-7 November 2018. 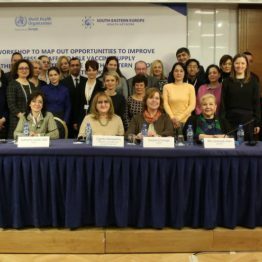 The meeting addressed the value of primary health care systems in the South-eastern European Region. Primary health care is one of the foundations for universal health coverage. It can respond to most of the health needs across a lifetime. 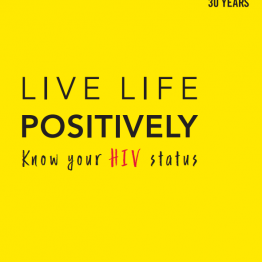 It leads to better health outcomes, improved quality of care and higher satisfaction. However, in most countries primary health care is under-resourced. Greater investment in primary health care would improve access, effectiveness, equity, and cost-efficiency of health care. 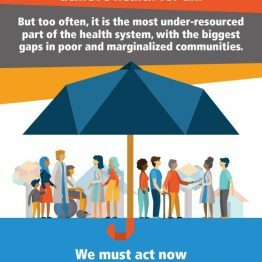 Primary health care is closer to communities, focuses on health rather than diseases and empowers people to take charge of their own health rather than being passive recipients of services. 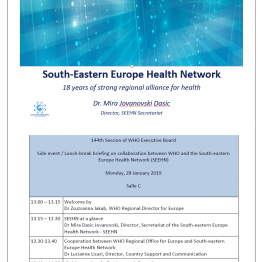 The meeting was organised jointly by the Ministry of Health, the National Institute of Public Health, the South-eastern Europe Health Network Secretariat (SEEHN), and WHO with the financial support of the Slovene government. 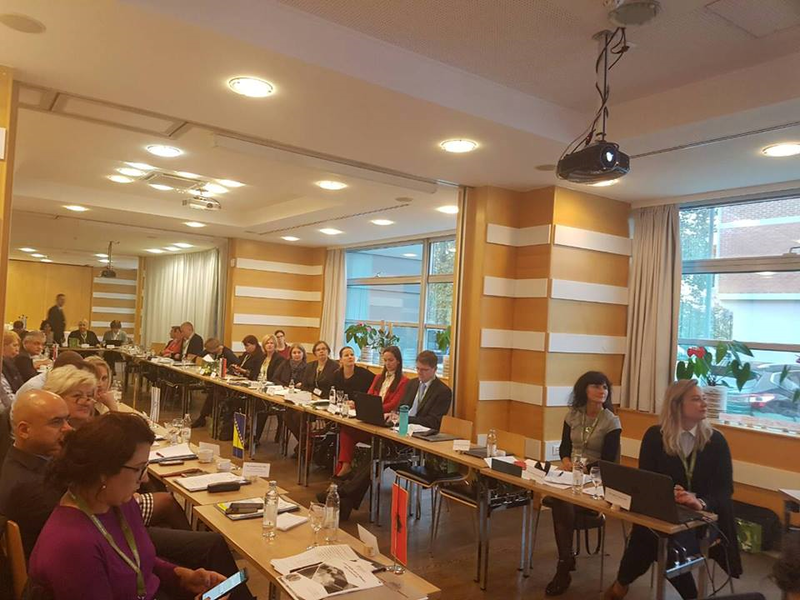 “Slovenia has a long tradition of a strong, well developed primary health care system that provides close to full universal health coverage”, Dr Pia Vračko, State Secretary of the Ministry of Health Slovenia said in her opening address. Human resources with proper skill-mix are of outmost importance and in case of need motivation incentives should be applied. Ways to reduce administrative burden on health workers to have more time for patients should be sought for. 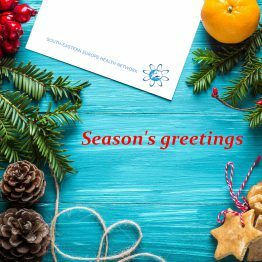 Multi-disciplinary practices with selected specialists, social workers and specialised nurses working in teams demonstrate better health management especially in case of chronic patients. Enhancing research and development in primary health care. 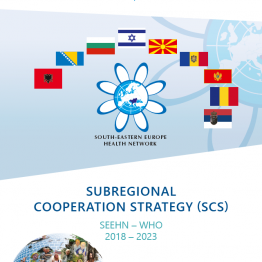 Collaboration in this area is high on the agenda of the SEEHN countries for the coming years. Darina Sedláková, WHO Representative to Slovenia, highlighted the recently adopted Declaration of Astana as the most inclusive, effective and efficient approach to enhance people’s physical and mental health, as well as social well-being, underlining that primary health care is a cornerstone of a sustainable health system for universal health coverage and health-related Sustainable Development Goals. Austria, European Commission, OECD, EuroHealthNet and the WHO European Centre for Primary Health Care, shared and discussed experiences and practices with the audience. In addition to this exchange of experience from their respective countries, the participants had the opportunity to visit the Health Centre Ljubljana and received first-hand information about the organization and service delivery model of one of the biggest Slovenian primary care provider.